Last week, I reviewed The Puzzle of the Happy Hooligan (1941) by Stuart Palmer, which used a film studio as a backdrop and there are several detective novels that take the reader behind the scenes of a movie shoot, such as Carter Dickson's And So to Murder (1940) and Edmund Crispin's Frequent Hearses (1950), but seldom is a cinema the scene of the crime – where a murder is committed in front of the silver screen. One of the last victims in Agatha Christie's The ABC Murders (1936) was stabbed inside a movie theater, but that murder was only a minor cog in the machine of the overall plot. So the only example I can present you with is the subject of today's blog-post: John Russell Fearn's One Remained Seated (1946), originally published as by "John Slate," in which a movie-goer never made it to the end credits. However, I should mention that Palmer wrote a short story about a similar kind of murder, namely "The Riddle of the Whirling Lights" from Hildegarde Withers: Uncollected Riddles (2002), but the setting of that story was a Planetarium and not a movie theater. Well, that filled my quota of Palmer references for this Fearn review! One Remained Seated is the third in the Miss Maria Black series and the plot draws on one of her hobbies that was mentioned in her debut, Black Maria, M.A. (1944), which are American gangster movies. Miss Black always patronizes a local movie theater, Langhorn Cinema, where "crime films hold sway," but on her latest visit several things go horribly wrong: a crime picture was advertised, Death Strikes Tomorrow, but the renters made a last-minute switch and gave them a copy of Love on the Highway – which she disliked and called her experience "a glaring case of taking money under false pretenses." Oh, and there's also a dead man slumped in seat A-11, inside the circle, with a small, neatly drilled hole in his forehead and the deadly projectile was "a slug of solid copper." Apparently, the metallic-like pellet was homemade and fired with an air-rifle. Well, the first observation that has to be made about the book is that, unlike the other entries in the series, this is not an impossible crime story. 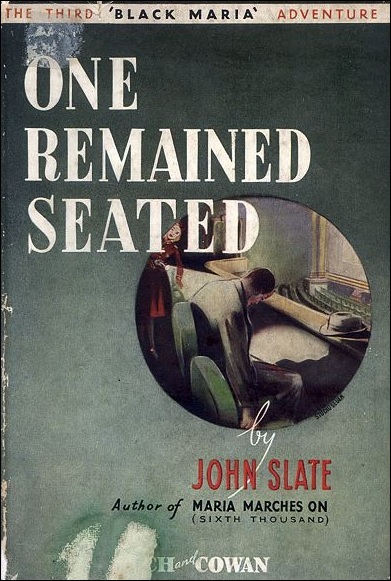 John Norris said in his blog-post about this series, "Neglected Detectives: Maria Black, MA," that the plot concerned "a man found stabbed in a movie theater," while "no one was sitting or seen anywhere near him," but, as you now know, that's not the exactly the premise of the book. Surprisingly, the book turned out to be strange amalgamation of the Realist School and Intuitionist School. It has a leg in a classroom of both schools. First of all, there's the location of the story, Langhorn Cinema, which is the linchpin of the plot, but also offers the reader a peek behind the silver screen and shows the work floor atmosphere of the cinema – both of them closely tied to the how-aspect of the murder. A look at the inner workings of institutions (e.g. universities) and companies are a hallmark of the Realists School. However, the plot was not completely immersed in the minutia of the day-to-day work routine of a late-1940s cinema, but you get a fairly good idea what the place is about. And there are some technical tidbits strewn throughout the plot. Such as when they tried to determine the exact position of the rifleman, which brought Miss Black and Inspector Morgan behind the actual projection screen. I also have to give a nod to the portrayal of the ordinary people who there and the role they played in the murder. Particularly, the young projectionist of the place, Fred Allerton, who's engaged to one of the usherettes, Nancy Crane, but also has a talent for making himself suspect in the eyes of the police – because he ran into the victim with his bike on the night of the murder. 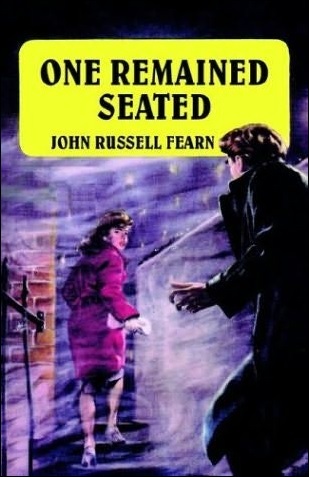 So, in that regard, One Remained Seated is yet another piece of classic crime-fiction showing that the Golden Age was not just about the upper classes encountering murder in their Victorian mansions. You can say that about the entire Maria Black series. Well, the ones I have read. A second, if somewhat slight, aspect of the Realist School is the breakdown of the identity of the murdered man. The police suspects very early on in the story that the name he used in the local hotel is a false one, but his name and full back-story is not revealed until they re-watched the movie. Originally, the intention was to determine when the shot was fired, because it had to coincide with the shots fired in the movie, but Miss Black notices something about one of the characters. This also reveals the true identity of one of the on-screen characters. But there's yet another character in the story with an alter ego: a pot-bellied man with an Old Bill mustache who has been asking favors from the young man who work at the cinema (no, not those kind of favors). So there's more than enough detective work to sort out for Miss Black and the reader, which includes the rather original clue of the movie poster and a craftily conceived alibi. One that's used for a second, brutal murder of an usherette, but the alibi really fitted the movie-theme of the book. It's exactly what you'd expect from a murderer who hangs around a cinema. The only real drawback is that the murder is very obvious. You can hardly ignore this character in the role of murderer once you begin to grasp the main lines of the plot. I was also slightly annoyed by the vague details about the past crime that was buried in the heart of the plot, but, otherwise, I liked it as much as the other titles from this series. I also reviewed Fearn's The Crimson Rambler (1948) and The Lonely Astronomer (1954). 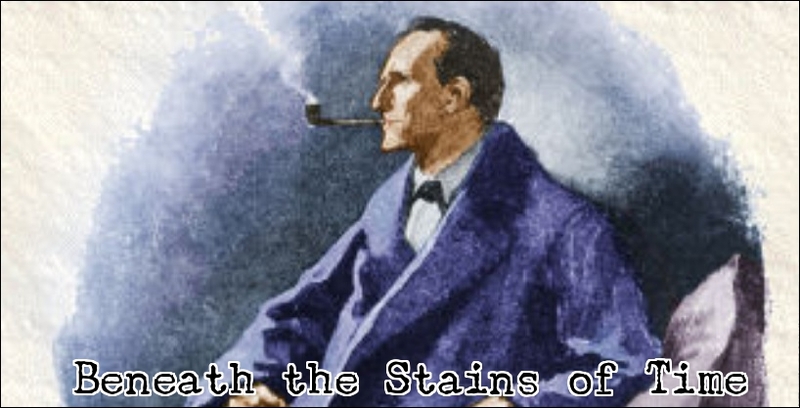 On a final, semi-related note: I began this blog-post without any real examples of detective novels with a movie theater setting for their murders, but one suddenly occurred to me, P.R. Shore's The Death Film (1932). Curt Evans (who else?) mentioned the book in a 2010 blog-post on MysteryFile. However, it is, apparently, an extremely scarce title and the only thing we know about it is that someone is killed during the screening of a movie. So that makes a grand total of... two cinema mysteries? Two and a half, if you count the one by Christie? You're getting so much joy out of these, that I feel it only fair to let you know that I read Thy Arm Alone and, ahem, well, sort of didn't really like it that much. The solution is...certainly novel, and you can totally see what Fearn was doing, but the books itself is so freakin' repetitive and not even all that long, it just feels like a short story padded up to novel length by having everyone restate their case four times. And then write about it. But, as I say, the solution -- while patently ridiculous, not that I've ever had a problem with that -- shows a playful sense of imagination brought to the confines of the traditional crime-and-detection milieu. Are any of these others you've read at least a bit more...plot-ful? A real shame Thy Arm Alone did very little for you. As said in my review, I can completely understand readers having a problem with the root-cause of death, but assumed seasoned mystery readers would appreciate what was done with such an unlikely, once-in-a-lifetime situation. That's what I loved about the book. And as said in another review, Fearn was a second-stringer and he should be judged as such. One who has become somewhat of a personal favorite, but he was still a second-stringer. Death in Silhouette is a more plot-oriented novel that's more in the traditional mold (see review). So you might like that one more. Black Maria, M.A. is good introduction of the titular character, in which she also meets "Pulp" Martin, but the locked room trick is one of those technical ones that seems very hard to pull off successfully. However, you might still like it, because it's also in the traditional mold and has one of the strongest resemblances to a Miss Withers mystery. I hope your second time with Fearn and Miss Black will be more joyous one. Once again one of my posts revealed my Swiss cheese memory failing me. Sorry that my one sentence summary of the plot was inaccurate. I didn't take notes as extensively back in the early days of the blog as I do now. Wish I could think of another murder in a movie theater. All I can come up with are books in which movie sets are imperiled with deadly accidents and actors, directors and technicians have murder in the hearts. You've left the least appealing (to me at least) Maria Black mystery for the end. You ought to move onto the Prof. Hiram Carruthers series. You'd enjoy those a lot, I'm sure. You're forgiven, John. I suspected Maria Marches On would be the weakest in the series. Secret messages in invisible ink, tattooed on a dead schoolgirl, struck me as Fearn indulging his pulp roots in that one, but thanks for the recommendation. I believe there's a Carruthers book on the pile. He's the impossible crime specialist, isn't he? And even you can't think of another movie theater mystery, it goes to show how underused that setting is. A pity really. I would have loved a Golden Age mystery about a murder in an (American) drive-in, open air theater.